Whether you live in an area with unpaved roads or have to cope with heavy snow in the winter, having an all-wheel-drive system does more than provide peace of mind. When the road turns nasty, AWD becomes a necessity. 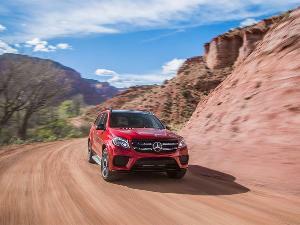 Auto manufacturers have responded to consumer demand with a wide range of surefooted mid-size AWD SUVs. In the following pages, we’ll see how they stack up with regard to fuel economy, safety features, and connectivity. We’ll focus on mid-size models at the more affordable end of the spectrum and save the pricey luxury suvs for another day. The Toyota Highlander was the third-best-selling mid-size SUV in America in 2017, trailing only the Ford Explorer and Jeep Grand Cherokee. Prices start at $34,740 for the base LE AWD, which is EPA-rated at 19 mpg in the city and 26 mpg on the highway. Upgrade to the Highlander Hybrid 4WD LE Plus for better fuel economy. 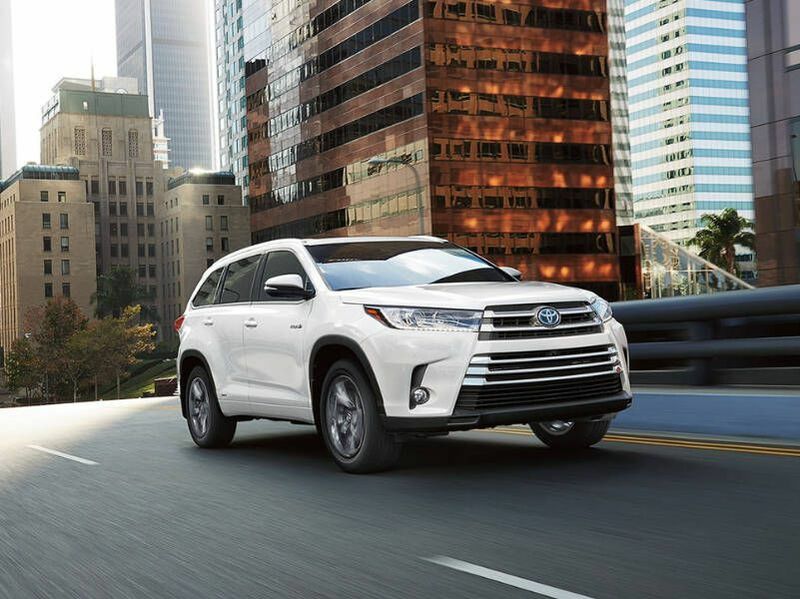 With EPA ratings of 30 mpg city / 28 mpg highway, the Highlander Hybrid is one of the most fuel-efficient mid-size AWD SUVs. All 2018 Highlanders feature the Toyota Safety Sense P technology package as standard equipment. The package includes adaptive cruise control, lane departure alert with steering assist, a pre-collision system with pedestrian detection, and automatic high beams. The Insurance Institute for Highway Safety rates the Highlander a 2018 Top Safety Pick. 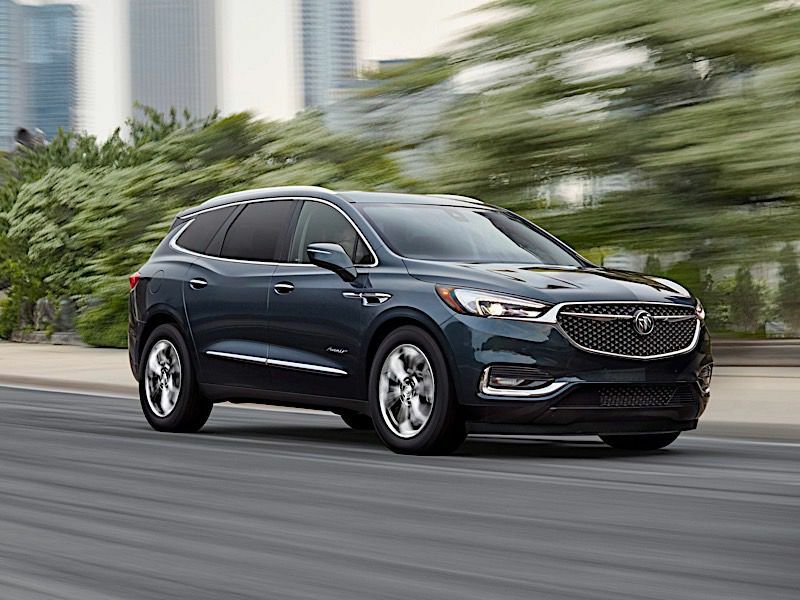 The 2018 Buick Enclave was completely redesigned for the 2018 model year. It’s roomy, quiet, and an absolute stunner in the top-of-the-line Avenir trim level, which is a bona fide rival to the Lexus RX. This is one of the most luxurious domestic mid-size AWD SUVs, hands down. Prices start at $47,690 for the AWD Essence trim. 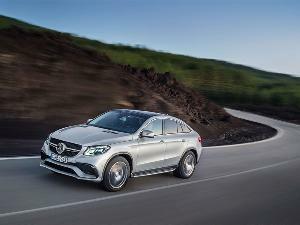 The 3.6-liter V6 engine produces an ample 310 horsepower and is EPA-rated at 17 mpg city / 25 mpg highway. The Enclave features OnStar 4G LTE connectivity and a built-in Wi-Fi hotspot, as well as Apple CarPlay and Android Auto support as standard equipment. A suite of advanced safety technology is standard in the Premium and Avenir trim levels. The 2018 Hyundai Santa Fe is a solid value, with one of the best warranties among three-row all-wheel-drive SUVs. Pricing starts at $32,600 for the SE AWD. 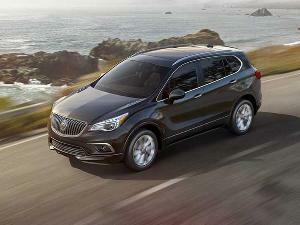 All trims use a 290 horsepower 3.3-liter V6 engine, and the SE model is EPA-rated at 18 mpg city / 24 mpg highway. Safety is a strong point, with the Insurance Institute for Highway Safety rating the Hyundai Santa Fe a Top Safety Pick+ for 2018. However, you’ll need to opt for the SE Ultimate or Limited Ultimate trim levels and add the Tech option package to gain adaptive cruise control, a lane-departure warning, and automatic emergency braking with pedestrian detection. Apple CarPlay and Android Auto support are standard. The three-row 2018 Kia Sorento delivers maximum bang for the buck, with crisp styling and an extensive warranty. The LX AWD is equipped with a 185-horsepower 2.4-liter four-cylinder engine and is EPA-rated at 21 mpg city / 26 mpg highway. 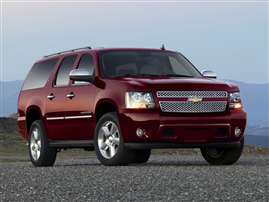 The LX V6, EX V6, SX, and SX Limited feature a 290-hp 3.3-liter V6, rated at 19 mpg city / 24 mpg highway. Pricing starts at $30,675 for the LX AWD. The SX Limited trim includes smart cruise control with stop and go, a lane-departure warning with lane-keep assist, and a forward collision warning as standard equipment. 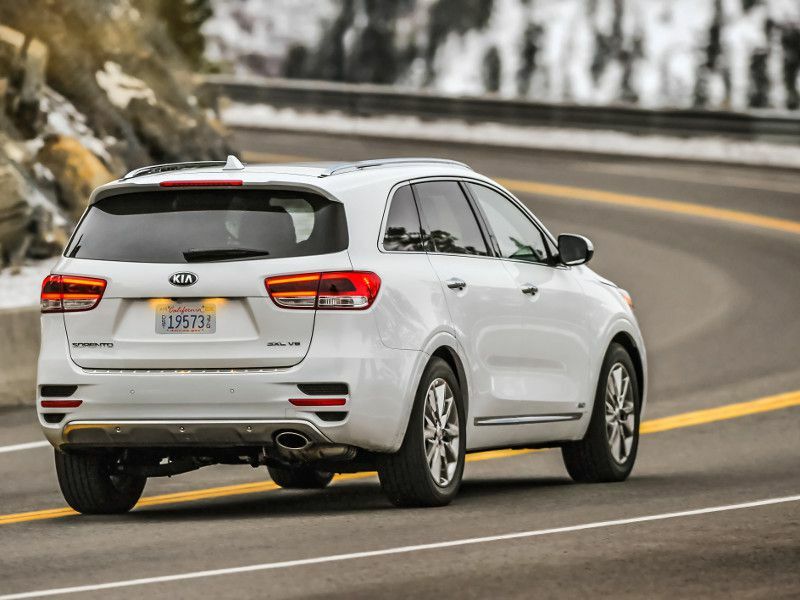 The Insurance Institute for Highway Safety rates the Sorento a 2018 Top Safety Pick+. Every 2018 Sorento includes Apple CarPlay and Android Auto integration. 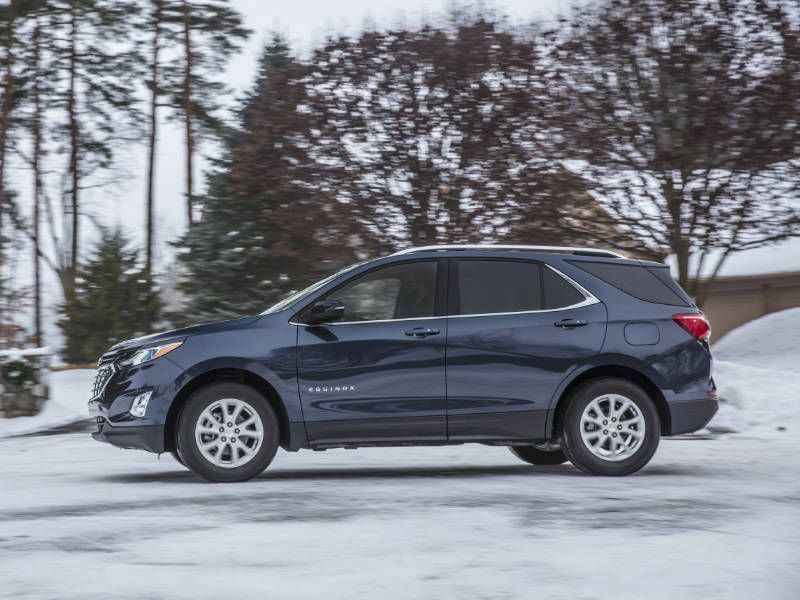 The Chevrolet Equinox was fully redesigned for the 2018 model year and shares its platform with the GMC Terrain. 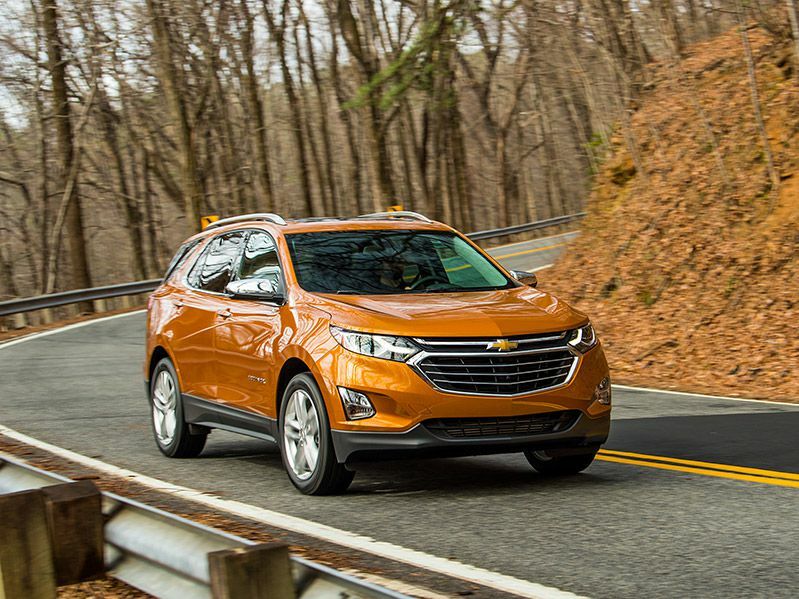 While the Equinox is not technically a mid-size SUV, it delivers the best highway fuel economy of all AWD SUVs in 2018 when equipped with its optional 1.6-liter turbodiesel engine, with official EPA ratings of 28 mpg city / 38 mpg highway. Pricing starts at $28,295 for the all-wheel-drive L model with a 1.5-liter turbocharged gas engine. A gasoline-powered 252-horsepower 2.0-liter turbo rounds out the trio of engine choices. You’ll need to choose the top-of-the-line Premier trim level and add option packages to gain the most advanced safety technology. OnStar 4G LTE and a built-in Wi-Fi hotspot are standard, along with Apple CarPlay and Android Auto support. The 2018 Mazda CX-9’s beauty is more than just skin deep. Stellar road manners and crisp styling (both inside and out) deliver an experience befitting a more pricey brand. The three-row i-ACTIVE all-wheel drive 2018 CX-9 Sport starts at $33,930. 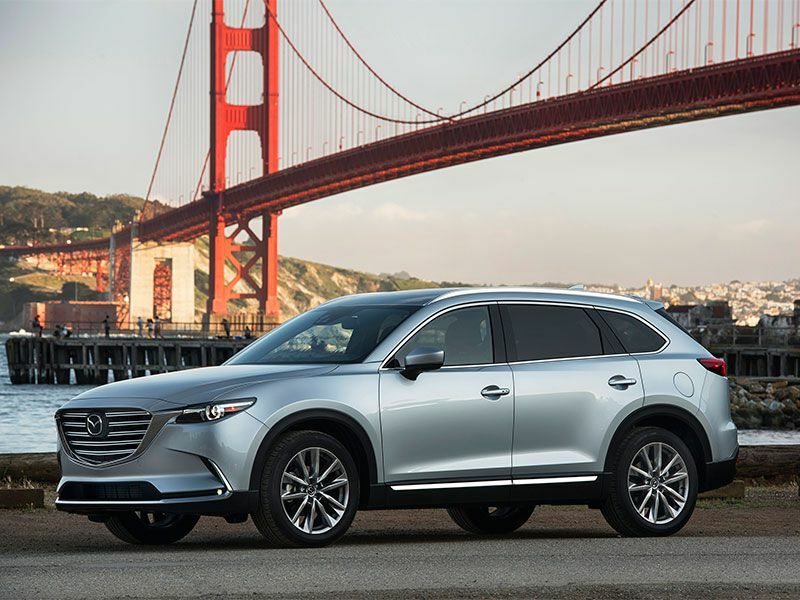 The CX-9 is motivated by a 250-horsepower 2.5-liter turbocharged engine and is EPA-rated at 20 mpg city / 26 mpg highway. The Insurance Institute for Highway Safety ranks the CX-9 as a Top Safety Pick. The Touring and Grand Touring models include a full suite of advanced safety technology, including lane-keep assist, automatic high beams, smart brake support, and radar cruise control with stop and go as standard equipment. The 2018 Mitsubishi Outlander PHEV is the most fuel-efficient entry on our list of mid-size AWD SUVs, thanks to its innovative plug-in hybrid electric drivetrain. 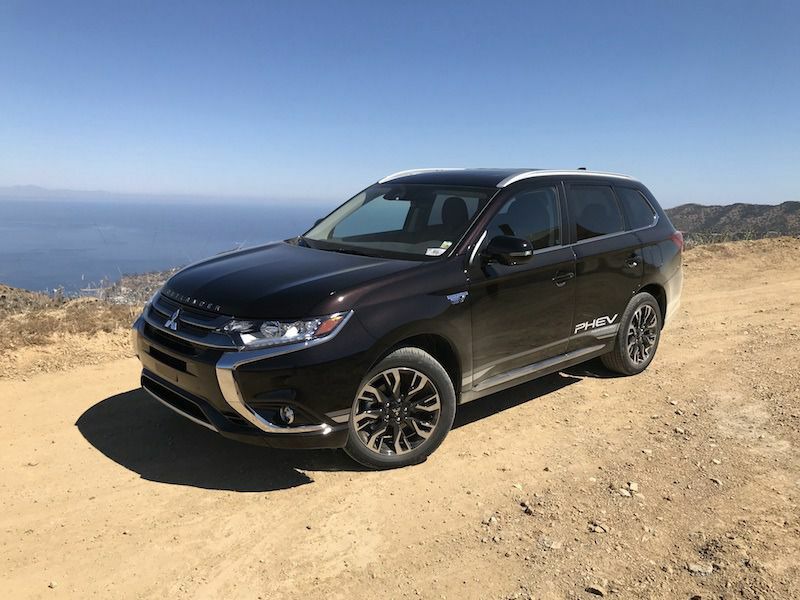 The EPA rates the Outlander PHEV at 74 MPGe combined (running on a combination of gasoline and electric power) and 25 mpg combined on gasoline alone, with a pure electric range of 22 miles. The battery recharges in three and a half hours on a Level II charger. Prices start at $34,595 for the SEL S-AWC model, and a federal tax incentive of $5,836 sweetens the deal. The Outlander PHEV’s warranty is extensive, with 10-year/100,000 mile coverage on the powertrain, lithium-ion battery, and PHEV components, as well as five-year/60,000 mile limited coverage. The 2018 Nissan Murano features dramatic exterior styling and a stunning interior. It’s arguably one of the most handsome mid-size AWD SUVs. Pricing starts at $32,400 for the base S AWD, with automatic emergency braking and navigation as standard equipment, as well as Apple CarPlay and Android Auto integration. 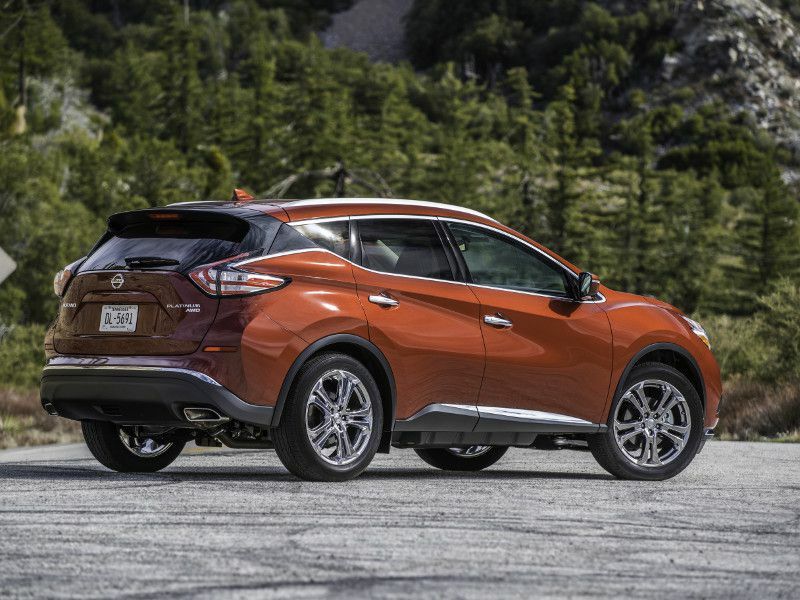 The AWD Murano is EPA-rated at a respectable 21 mpg city / 28 mpg highway, with the 260-horsepower 3.5-liter V6. Adaptive cruise control is standard on upper-range models, along with a four-camera birds-eye-view monitor to reduce stress while parking. 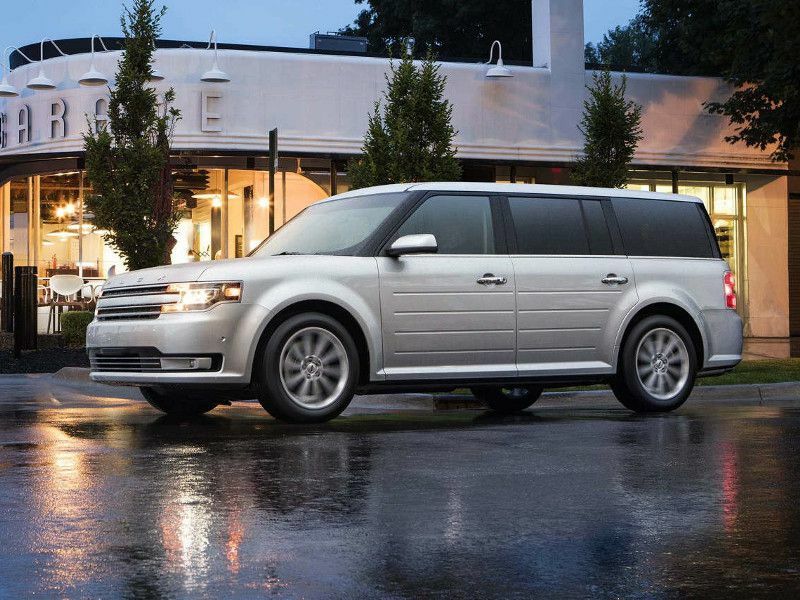 The 2018 Ford Flex is a magnificent all-wheel drive dinosaur that harkens back to the heyday of the Great American Station Wagon. The cabin is remarkably roomy, and the available 365-horsepower 3.5-liter EcoBoost V6 in the top-of-the-line Flex Limited is wonderfully responsive. 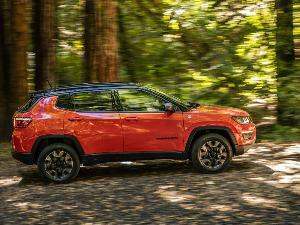 While the slab-sided three-row Flex is one of the most unique AWD mid-size SUVs, it’s a slow seller that’s reached the end of its run. Prices start at $35,240 for the AWD SEL model with a naturally aspirated V6. This engine is EPA-rated at 16 mpg city / 22 mpg highway, while the turbocharged EcoBoost V6 is rated at 15 city / 21 highway. If you have a sense of nostalgia, the Flex is worth one last look. The Toyota RAV4 was the best-selling SUV in America in 2017, for all the right reasons. While it's slightly smaller than a mid-size, downsizing to the RAV4 is a safe and prudent choice, with pricing that starts at $26,060 for the all-wheel-drive LE. All models (except for the hybrid) feature a 176-horsepower 2.5-liter four-cylinder that’s EPA-rated at 23 mpg city / 30 mpg highway. 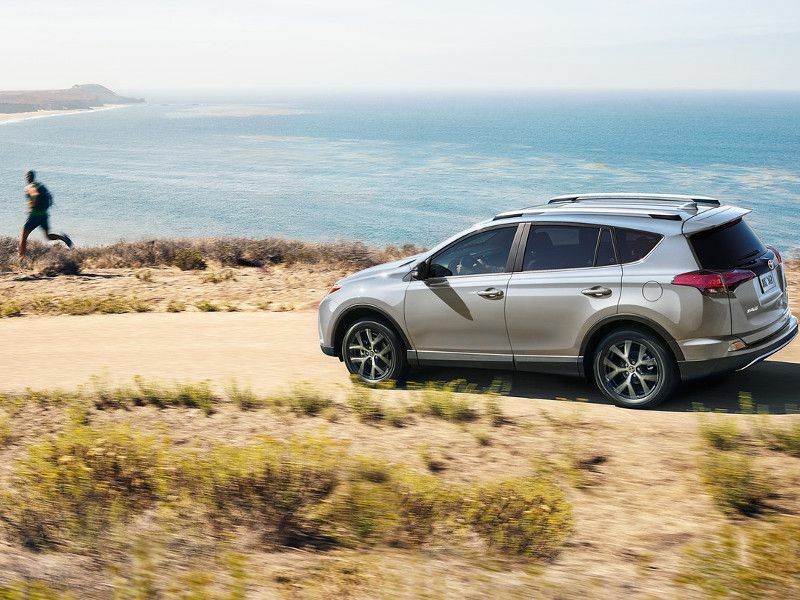 Choose the 2018 RAV4 Hybrid for significantly higher fuel economy in town. It’s EPA-rated at 34 mpg city / 30 mpg highway. 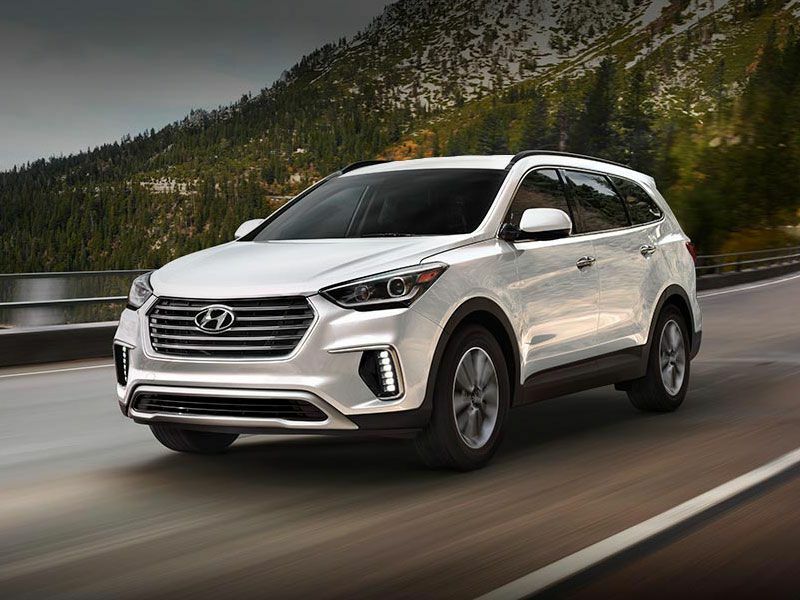 All models have a lane-departure alert with steering assist, adaptive cruise control, automatic high beams, and a pre-collision system with pedestrian detection as standard equipment. The Insurance Institute for Highway Safety rates the RAV4 a Top Safety Pick.